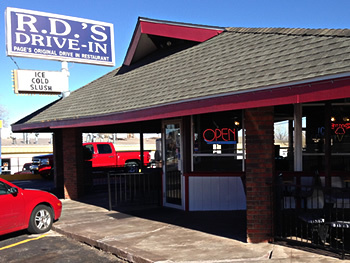 Known for it’s delicious Bacon Cheeseburger, R.D.’s Drive-In is your local mom and pop establishment in Page, Arizona. Since 1976, R.D.’s has been serving up single, double, and triple Deluxe burgers with all the fixin’s. There’s something for everyone at R.D.’s; including Hot Dogs, Tacos, and Shakes. Chili Cheese dogs and fries, anyone? R.D.’s burgers are quarter pounders with all of the toppings in addition to your choice of cheese, green chili, or mushrooms. Hungry? You can order a single, double, or triple deluxe burger! A kid’s menu will satisfy the little ones. 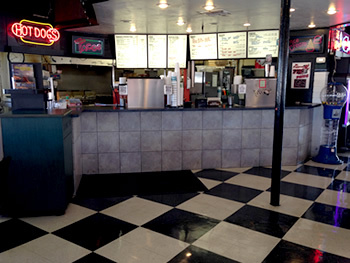 In addition to their famous burgers, R.D.’s can make just about anyone happy with their Grilled Chicken sandwiches and fish fillets with tartar. If you are in the mood for Mexican food, you can get a mean taco and bean burrito. Breakfast is served from 6:30 am – 11 am and includes a scramble platter, breakfast sandwich and breakfast burritos. R.D.’s has a local diner atmosphere, with black and white checkerboard floors, booths inside and out, and beautiful, neon signs. 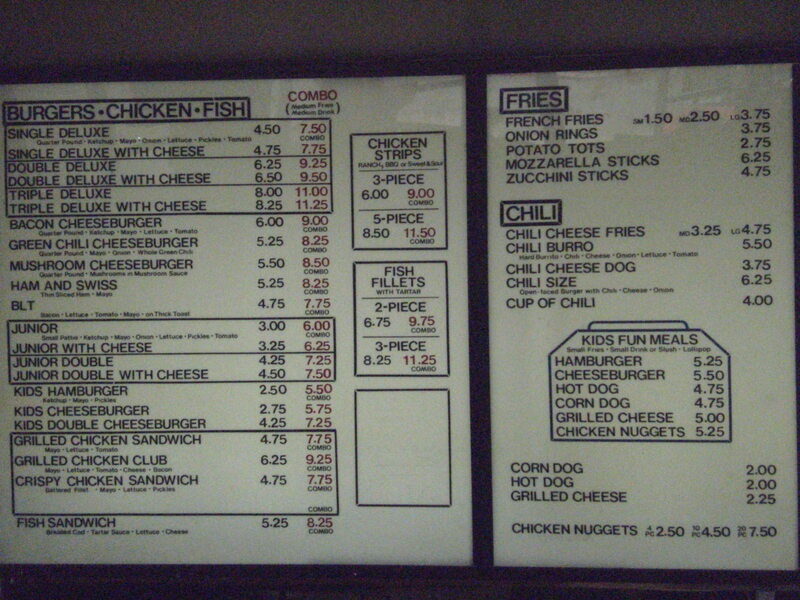 There’s just one big menu at R.D.’s and everything is posted on a lit-up sign for you to see clearly. After you order at the front counter, take a seat and most likely someone will walk in that you know or don’t know and strikes up an interesting conversation and before you know it, your food will be ready. If you want to take out, you can order at the drive-in window as well. R.D.’s cooks everything made to order, so you will be getting real cooked food here, folks.